Tar and gravel roofing is a common flat roof covering, but it is prone to leaks. If you have this type of roof, it is important to familiarize yourself with the basics of tar and gravel roof repair. Tar and gravel roof repair is a relatively simple operation that could be performed by a homeowner with a little know-how. This is the hardest part about tar and gravel roof repair. Water can travel many feet from the source of the leak to where it is showing up in your house. Take a broom and a rake up to your tar and gravel roof. Check along the flashing first for any cracks, and then look for any patches with gravel missing, or where the lower layers of asphalt appear damaged. Once you have found a problem area, carefully rake the gravel away. Sweep off the dust and debris, and use the cloth to clean it thoroughly. It is important for the area to be clean, otherwise the primer and patch will not adhere. 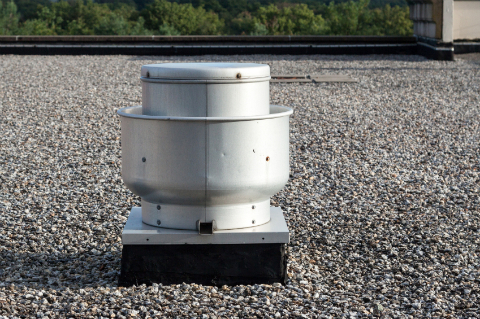 If you have found many problem areas or if notice any slumping in the roof deck, it is likely that you will need to perform a total overhaul of your tar and gravel roof. Call a professional immediately before the problem gets worse. After you have cleaned the area around the crack and allowed it to dry, it is now time to apply your primer. This can be applied with a paint brush or a roller. A primer is important as the asphalt below may lack the oils necessary for the patch to adhere properly. Apply the primer in an even coat and allow to dry fully. This common type of flat roof covering poses some problems for the DIY homeowner. As mentioned, water can travel many feet from the source of the leak. Even if you end up finding a crack or two, you may not have fixed the actual problem. Professional roofers, on the other hand, can accurately diagnose and find leaks on tar and gravel roofing. Consider hiring an expert in your area. If you do decide to go the DIY route, it is a good idea to have a professional come for an inspection.